6oz. (Bottle Yorker Spout). 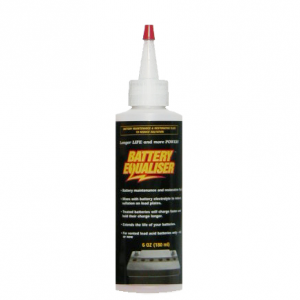 Each bottle will treat 3 motorcycle batteries, or 2 car batteries or 1 deep cycle marine battery.